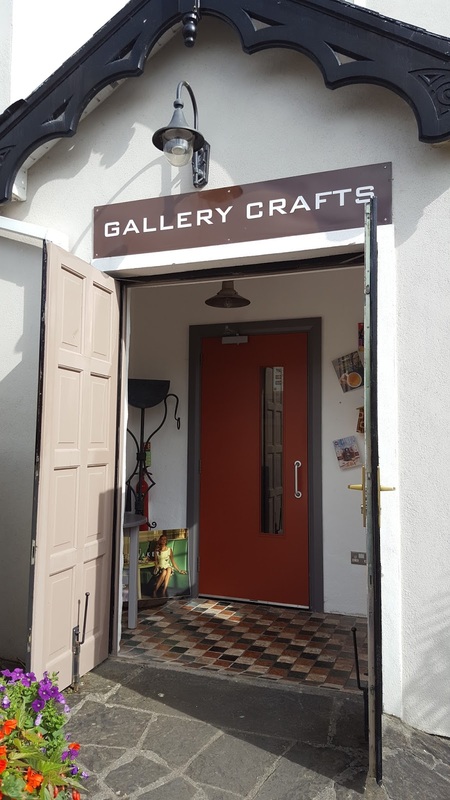 Gallery Crafts and The Brush and Spoon in Kilworth, Co Cork. Copyright Sandra Quinn, Quinn's Quandries, 2016. VERDICT; I would give The Brush and Spoon in Kilworth five stars (read to the end for an explanation of the star ratings). 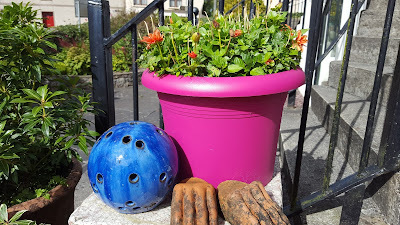 I first met Fiona Turley when I visited her exquisite store, Gallery Crafts in Kilworth in North Cork, not long after we had moved to Mitchelstown. I had just started working with The Avondhu Press and was still getting my bearings and familiarising myself with the area, local people and business people and Fiona turned out to be someone who I would often return to, not only for the perfect gift and now a sumptuous meal, but also for advice and guidance. Gallery Crafts was heaven for me, filled with quirky items, bespoke gifts and the range varied from items for under ten euro to pieces, which would enhance and add to any home. From that first day, I, like many others who travel from far and wide for the shop, was hooked and I was genuinely thrilled when I heard that she was expanding and opening up a cafe. I know some of you might be thinking, a shop and cafe...could one person make both things work and perhaps they should just stick to what they know. You know, if it ain't broke, why fix it? 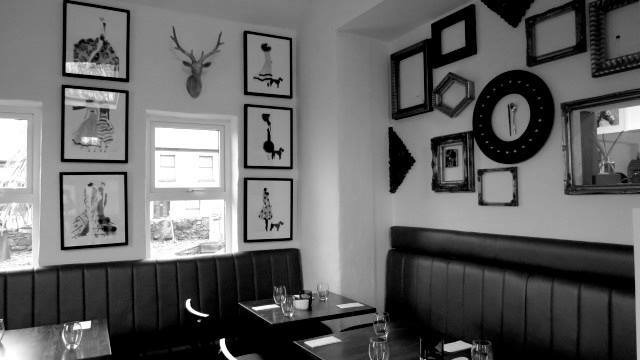 The interior of The Brush and Spoon in Kilworth, picture courtesy of The Brush and Spoon Facebook page. The Brush and Spoon to ensure that they are up to date and changing and evolving in line with customer tastes and trends. One thing I love about it, aside from how handy it is, just off the motorway between Mitchelstown and Fermoy (perfect to break up a long motorway journey) is that you won't hear a microwave pinging from the kitchen. Every single thing is home made and everything is locally sourced in so far as is possible and sustainable. 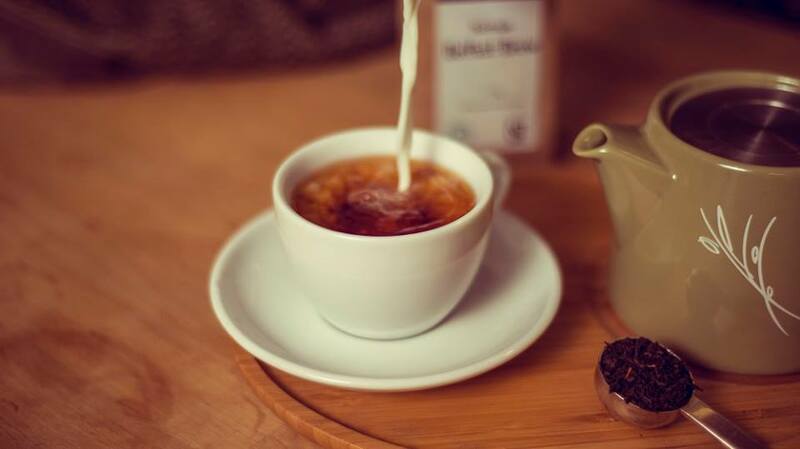 Enjoy a lovely cup of tea or coffee in The Brush and Spoon, picture courtesy of The Brush and Spoon Facebook page. Yes, the food might take a little bit longer to come to your table, but while you wait, enjoy the view, take a gander around the shop (if you are anything like me, you will struggle not to buy a few things), sip on your tea or delicious barista coffee or simply appreciate the artwork on the wall and the cool jazzy tones playing in the background. I for one, would much rather wait a few minutes longer for something that is fresh and made from scratch, instead of having something served for the same price, which isn't fresh and has just been warmed up in the microwave or on a hot plate. One of the many pretty features outside Fiona Turley's business in Kilworth, Co Cork. Copyright Sandra Quinn, Quinn's Quandries 2016. The day I visited, it was with my boyfriend for a slightly special occasion, so we went all out and got teas, coffees, lunch and dessert. We got amazing vegetable crisps to share (these were so tasty that I bought a few bags to take home and they were a great alternative to a salty or unhealthy snack while watching a film) and I had a tartlet with fresh salad, while my boyfriend had a pie. Both were amazing and we did that very daggy thing of passing forks of food across the table so that we could taste each others. It is safe to say that we both had food envy, but also were not willing to hand over our own dish. Hilariously, I got a bit distracted while one forkful was being passed and accidentally plopped it into my glass of water (there's a conundrum solved by the kitchen staff who must have been curious about the soggy lump of food in my glass after we left). To go with the meal, my boyfriend had water and as it was a little chilly, I opted for a tasty and refreshing apple and mint tea (served in an adorable teapot and again I bought a packet to take home). Even though we were stuffed, it was a special lunch, so we went all out and got dessert. I got a cheesecake, which was sublime, and my boyfriend opted for his staple favourite - apple crumble. Both were really tasty, fresh and had that wonderful taste of just coming out of the oven or being made fresh that day. Overall, we really liked it and almost didn't want to leave. We were going away for a romantic weekend and it was the perfect start to our few days of pampering. The staff were amazing, Fiona herself came over a few times (not just to us, as she knew I would be penning this very review), but to every table, to make sure everything was alright and Marco was so polite and lovely to everyone. I really enjoyed it and have been many times since for tea in the morning with a fresh scone or bite to eat, a light lunch, business meeting or a treat with a friend. The area around Mitchelstown is already rich with delightful culinary offerings and has a lot to boast in terms of cafes, so it would be great to think that people could start to think of having a foodie tour in the area, with places like The Brush and Spoon in Kilworth, O'Callaghans Delicatessen, the newly opened Blueberries in Mitchelstown and Thatch and Thyme in Kildorrery. They are all amazing and even if you are not local to you, they make coming down this direction worthwhile for any time of the year or any occasion. Your wallet and palette won't be sorry. ***** So tasty, I didn't want to leave. **** I loved it and could see me as a regular feature. *** I liked it, but there are a few things I would change. ** It was OK, but nothing to write home about. * Did not like it and would actively avoid returning. * Please note that the for the purpose of this review, one lunch was complimentary, but I have aimed to give an honest and helpful review.